...what is witnessed is the spectacle of the image as it sheds its frame, becomes ethereal, and thereby places the viewer into an imaginative correspondence with an unbound and ever-evolving image. 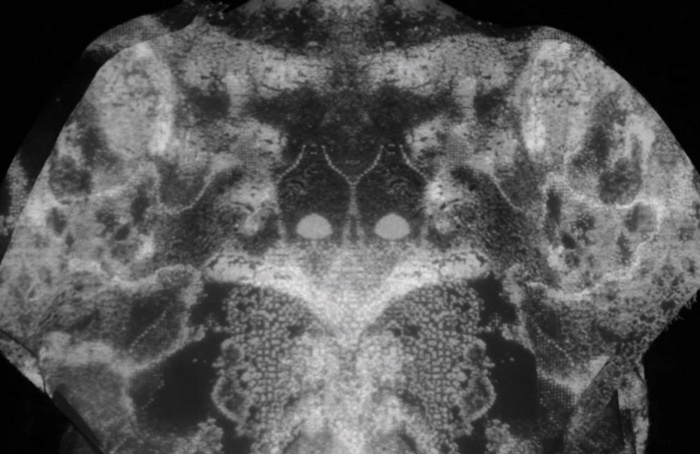 The body of work within the X-Rorschach exhibition explores a process of inter-disciplinary image making where form, movement, and body converge across tacit surface, and digital screen, becoming hybrid, interactive, and fluid. 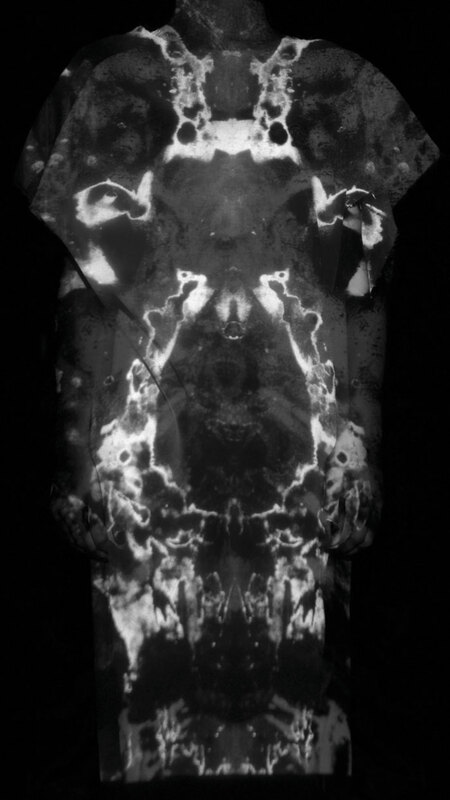 By bringing both Rorschach inkblots, and X-ray imagery together through inter-disciplinary approaches, the body of work proposes a hybrid form of image and form visualisation, where photography, film, and projection are combined, and induce a visual and imaginative engagement with surface image, and three-dimensional form. This hybrid visual, and imaginative exploration, oscillating in-between inkblot and X-ray, has manifested itself through mirroring, layering, and splicing both static image (photographic) and the kinetic (digital film). 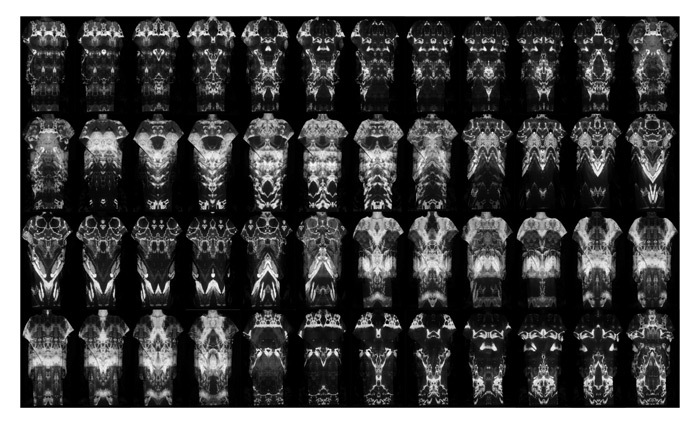 This process of image reconstruction and usage of the mirrored image allows the viewer to engage, and imaginatively form their own narrative of what is being seen. By using gradual movement, and layers of transparent screens, the image, transitions between appearance and disappearance dependent on the material, and tactile quality of the surface/screen upon which it resides. The collective works act as visual catalysts to instigate a reflexive experience and encounter for the viewer, sitting on a threshold between emergence, existence and dissolution. The works induce a gradual and unfolding awareness of change in image and form, surface and screen, the static and kinetic. As a result, what is witnessed is the spectacle of the image as it sheds its frame, becomes ethereal, and thereby places the viewer into an imaginative correspondence with an unbound and ever-evolving image.